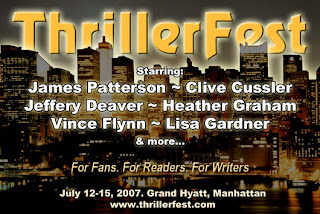 The schedule for this year's ThrillerFest, to be held at the Grand Hyatt NYC from July 12-15, is now available. You can check out the full conference schedule here. The 2006 conference was an absolute blast, and this one promises to be even bigger and better.